These 8 week climbing programs are the perfect introduction to climbing for beginners, or a great way to keep your climber skills top-notch throughout the school year! Enrollment includes a hour, once or twice a week practice with an instructor to provide guided and supervised climb time. 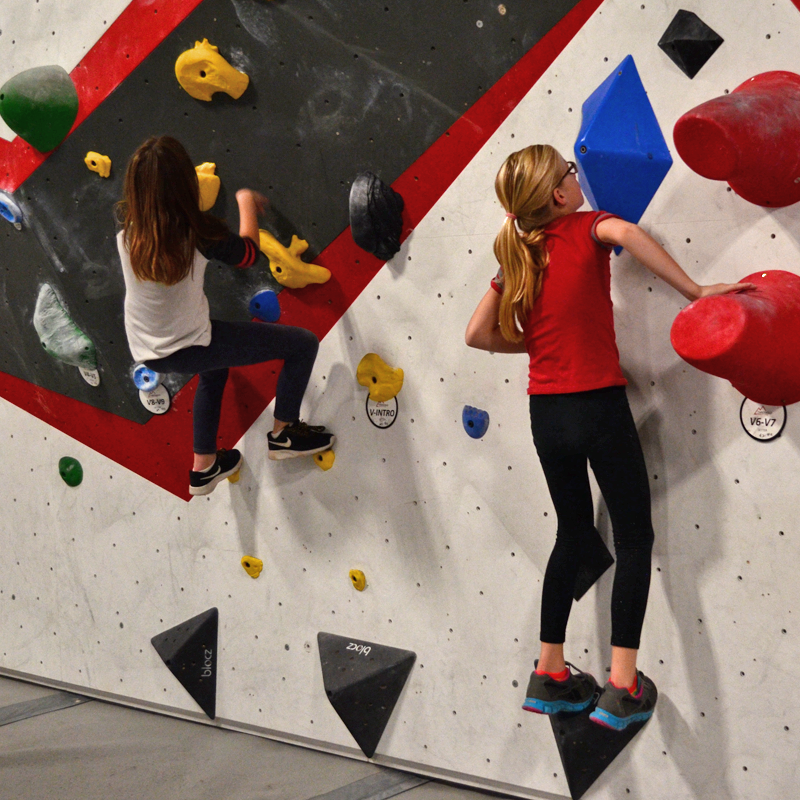 During the 9 weeks, through a variety of games and activities, students will learn the basics of bouldering, auto-belay, and some top rope skills. Whether you attend a traditional school, or are homeschooled, we have an option for you! We have two 8 week sessions in the Spring and Fall to choose from. Climbers can choose to come one or two days a week on their selected days and time, we have time slots available on Monday or Friday each week. Next 8 week session: Starts the week of March 11th! • Classes start on Mon, March 25th or Fri, March 29th. • Enrollment lasts for 8 weeks, enrollment includes an hour of climb time each week. Members get 10% off the enrollment price! 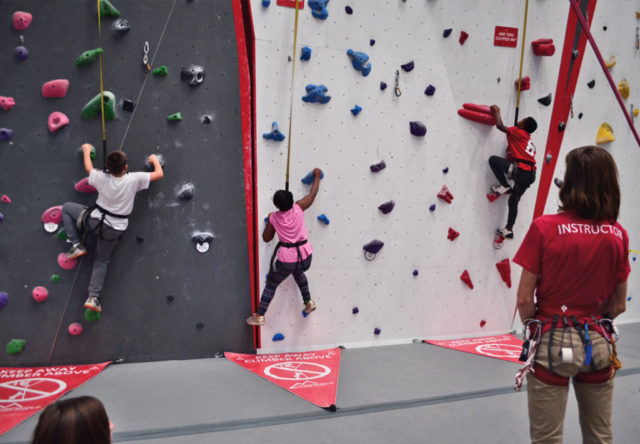 PLEASE NOTE: We typically have a minimum enrollment of 3 climbers for each time slot. If we do not reach that minimum we may request to move climbers to another time. We will announce the week prior if any times become unavailable due to low enrollment. Call the gym at 405-470-3611 to reserve your dates, and to pay over the phone! We are a proud partner of Epic Charter Schools! Climbing School, Team and our Memberships can be funded with Epic funds. Please email hello@thresholdclimbinggym.com for enrollment requests via Epic funding. Not interested in the Climbing School? 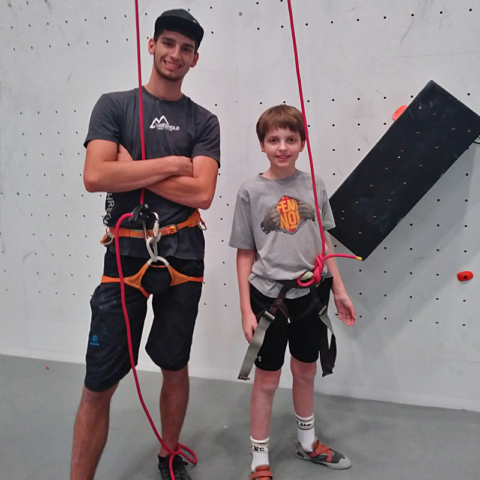 Check out our Climbing Team, great for all ages and skill levels, with multiple practice times Monday through Thursday.